Discussion in 'Supplier' started by Elegomall, 15 Apr 2019 at 19:19. ElegoMall brings you a great MTL RDA Atomizer. It is the Vapefly Holic MTL RDA. Let us find more details about it. By the way have a business account can get wholesale price and win $1000 coupons. Vapefly Holic RDA MTL is the latest atomizer of Vapefly Galaxies MTL series, cooperated with an experienced Japanese vape reviewer HORICK TV. The Holic MTL RDA features unique AFC system with the 360°surrounding airflow and 6 levels airflow control. Holic RDA comes with a golden plated bottom feeder pin for squonker MODs. Holic RDA adopts easy single coil building deck, and deep juice well with top filling design without leakage. Get it for the excellent MTL vaping feeling. You may also like these MTL atomizers below. Vandy Vape Berserker Mini RTA is co-designed by Vandy Vape and Youtube Review Alex from VapersMD. The Berserker V1.5 is 24 mm in diameter and features two large ports for top filling and five airflow adjustments to dial in your vape. The Berserker V1.5 has a 3 mL capacity and comes with two tank options, a glass and a metal one. 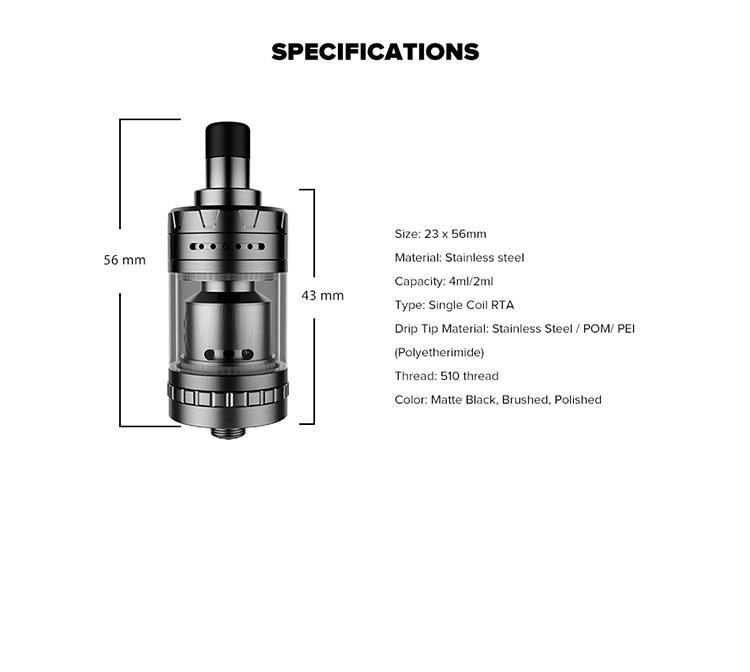 Exvape Expromizer V4 RTA has a single coil deck with 23mm diameter, comes with the top filling cap and top airflow, can be filled quickly and easily and also prevent leakage which makes the Expromizer V4 easier for beginners. Moreover, the Expromizer V4 tank adopts a top-to-bottom airflow for purer flavor and the liquid channels which directly contacts with the cotton for better liquid flow. What do you think about Vapefly Holic MTL RDA? Elegomall is the best vape wholesale who provides great products with best price.